Hi there Echo Park fans - It’s Tya here up on the blog today. I am sharing a gift set I made using the Tartan No. 2 collection. 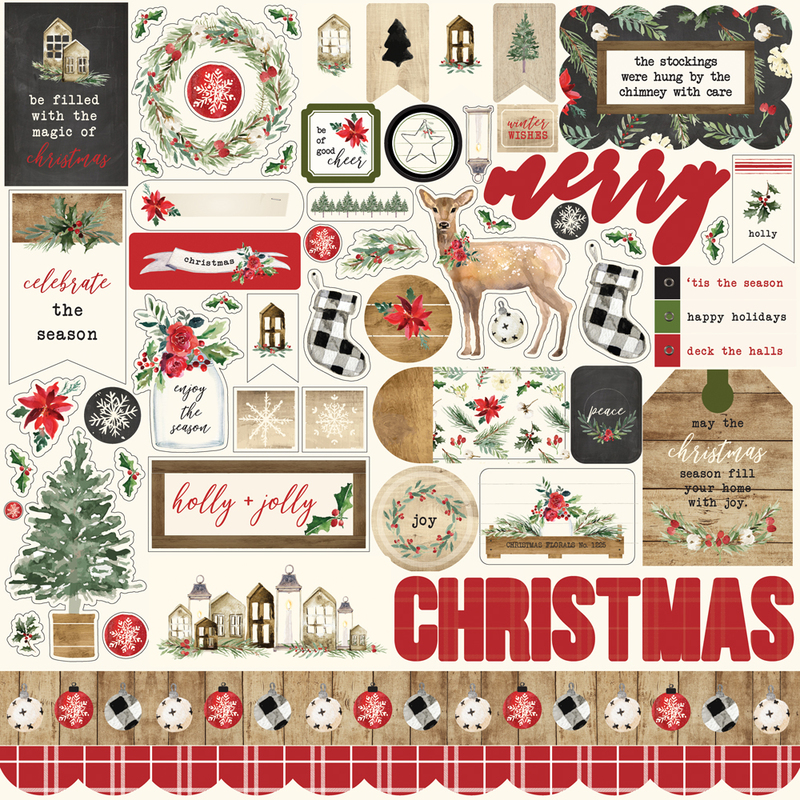 I love plaids so these were such fun and festive papers to work with. I added some green cardstock floral boughs cut from the Jolly Branch Trio die set. I added a black jewel brad in the center and then added a sticker tag from the Christmas Sticker sheet for the sentiment. This was a quick and easy project to whip up and would make really fun neighbor, co worker or friend gifts. Thanks a bunch for stopping by today - and make sure you grab these adorable Tartan papers for all of your holiday and winter paper craft projects! The colors and pattern are very on trend and would wow anyone! Happy Crafting!